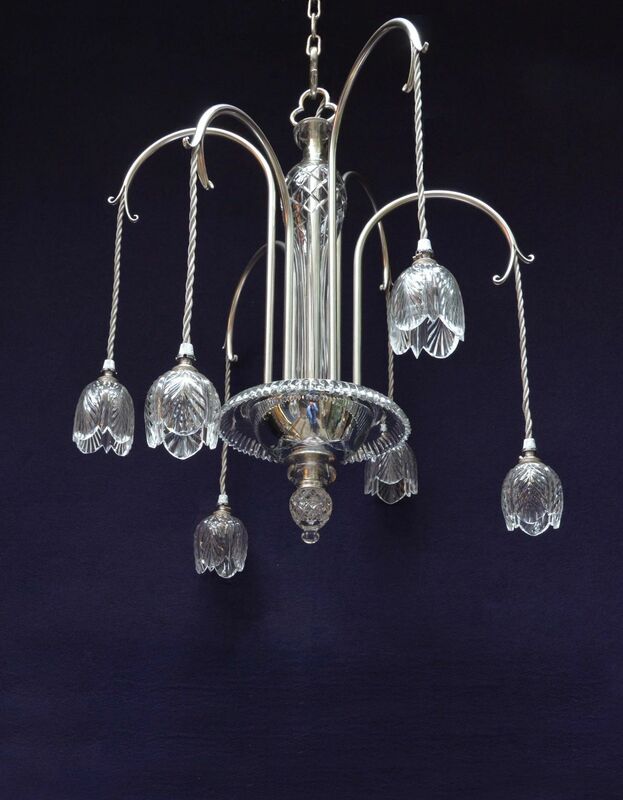 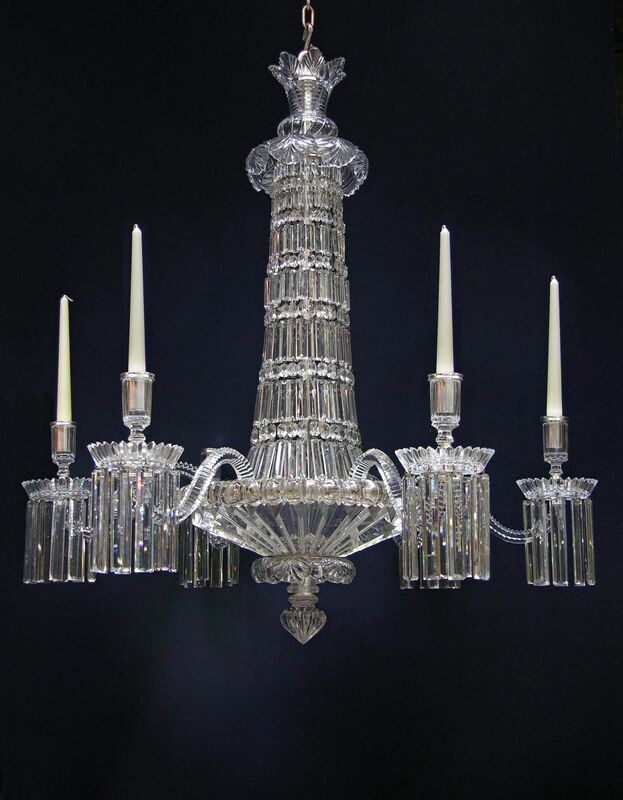 with cross-cut baluster stem and exposed flexwire in the style of early electroliers; with tulip-shaped cut glass Osler shades. 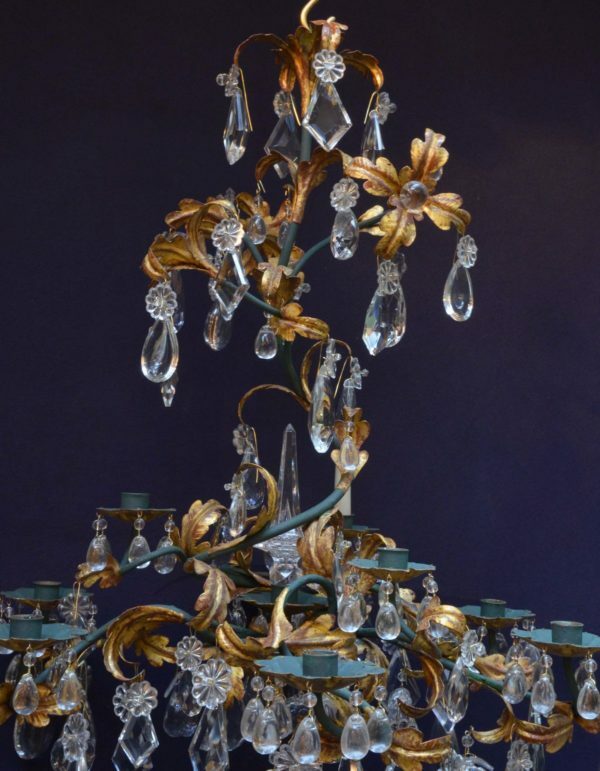 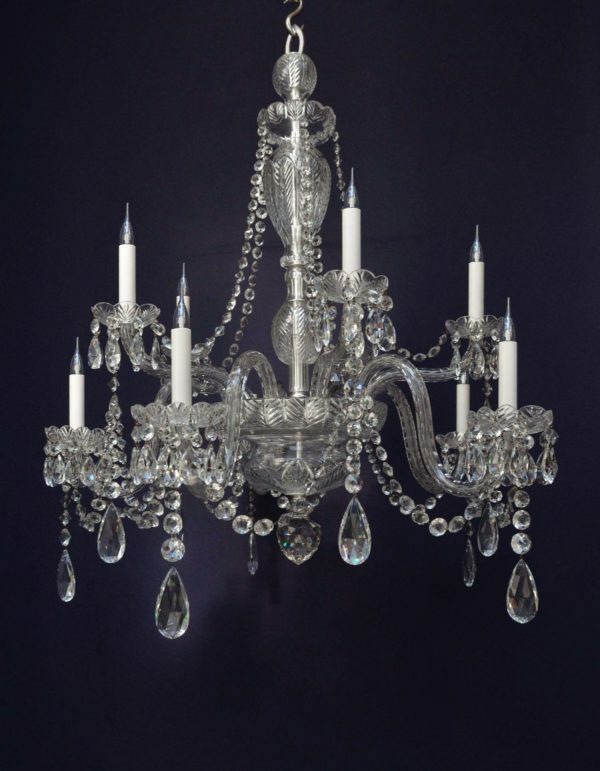 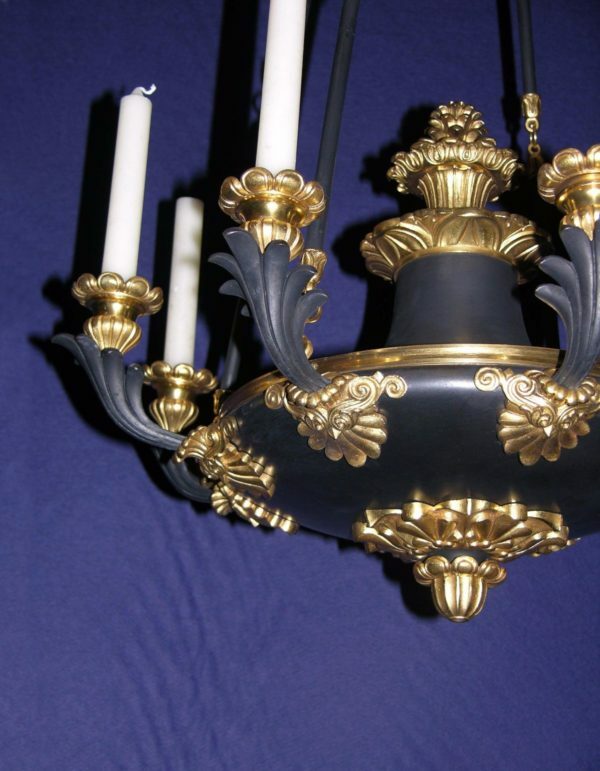 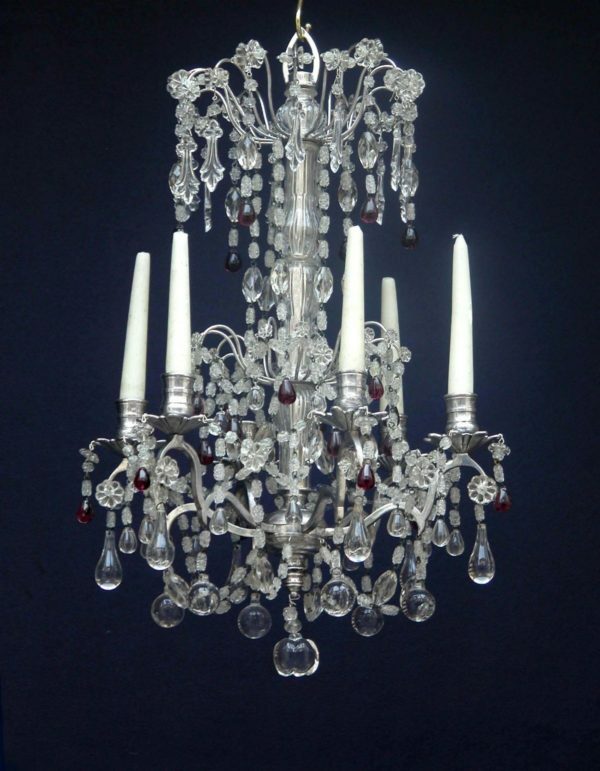 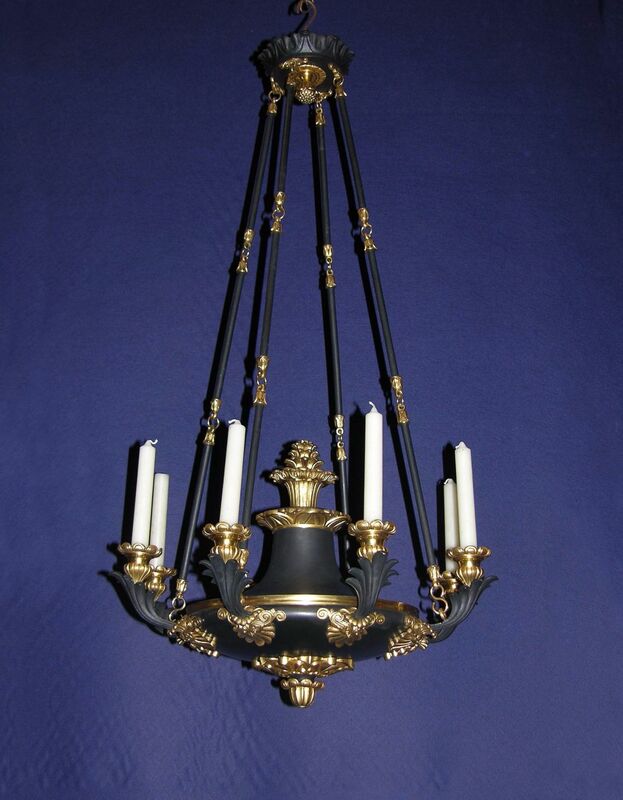 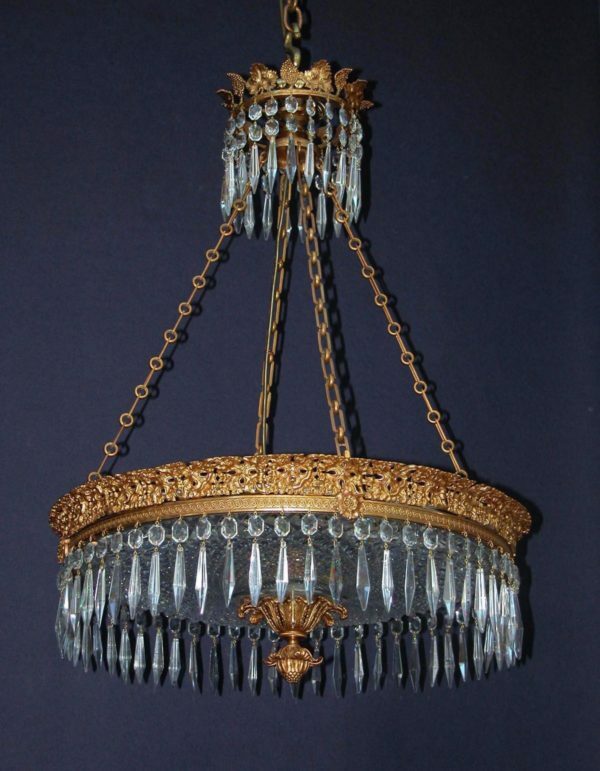 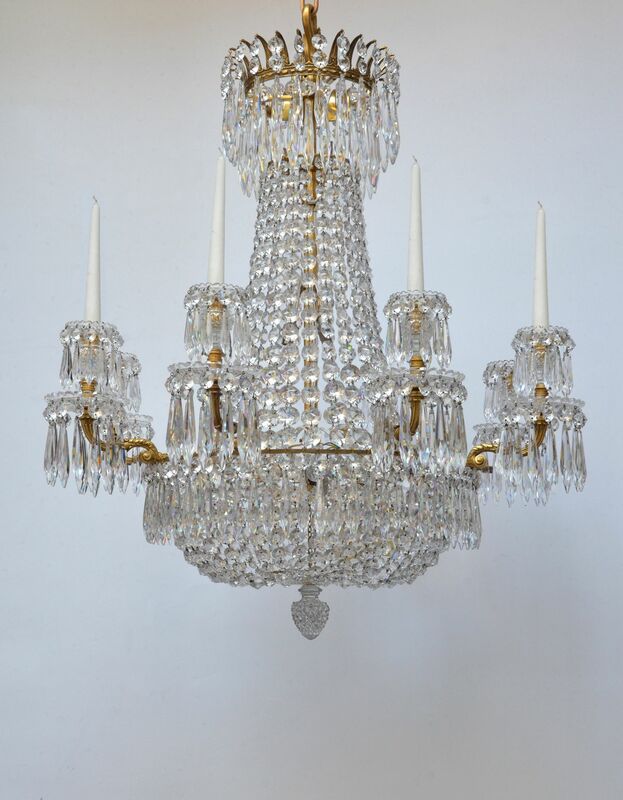 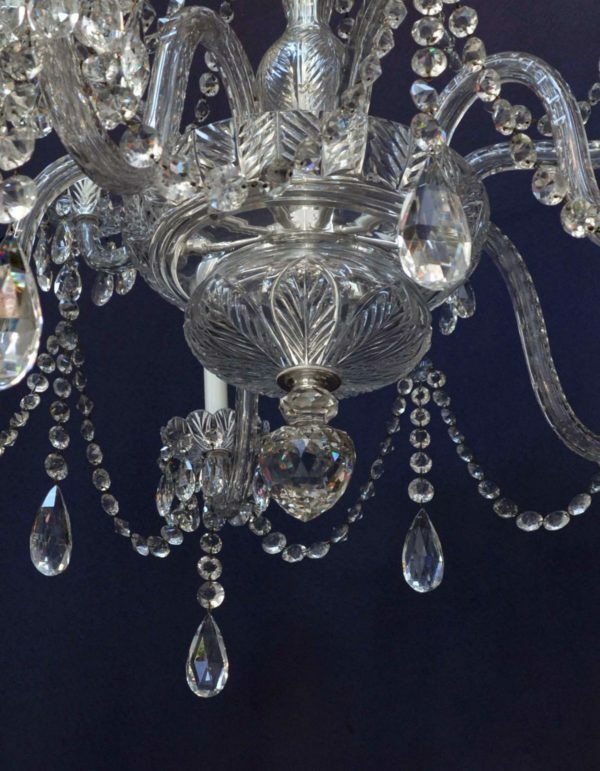 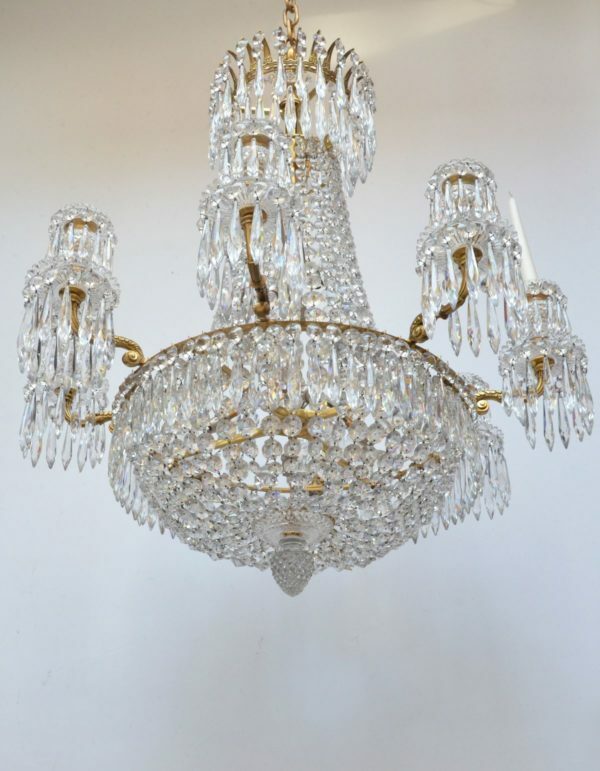 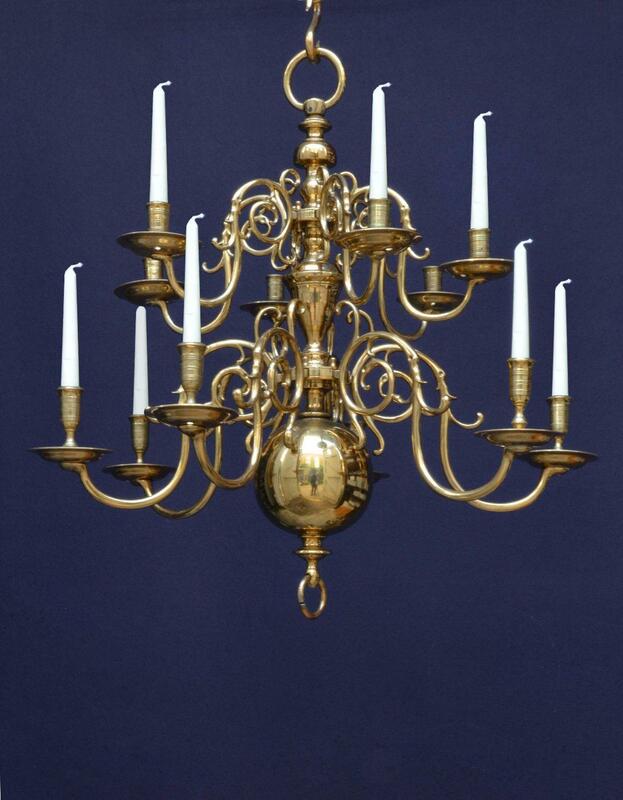 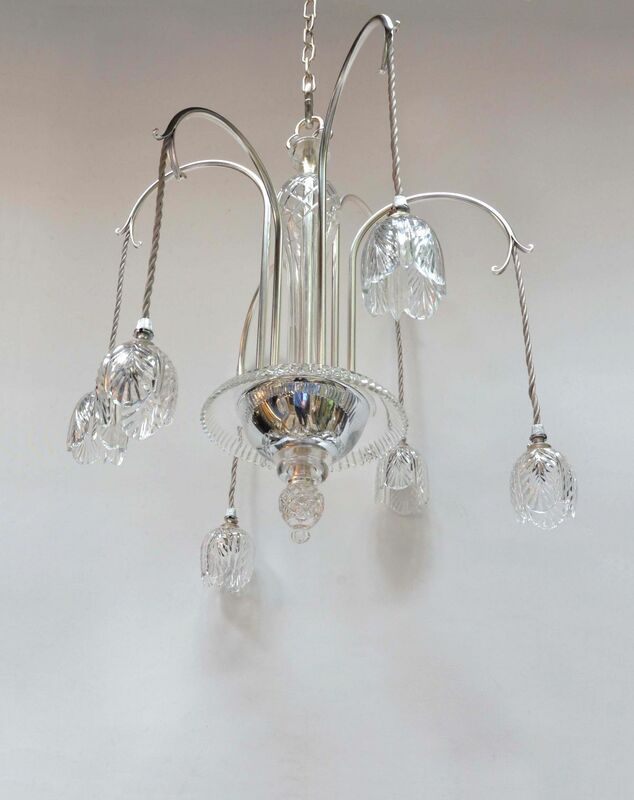 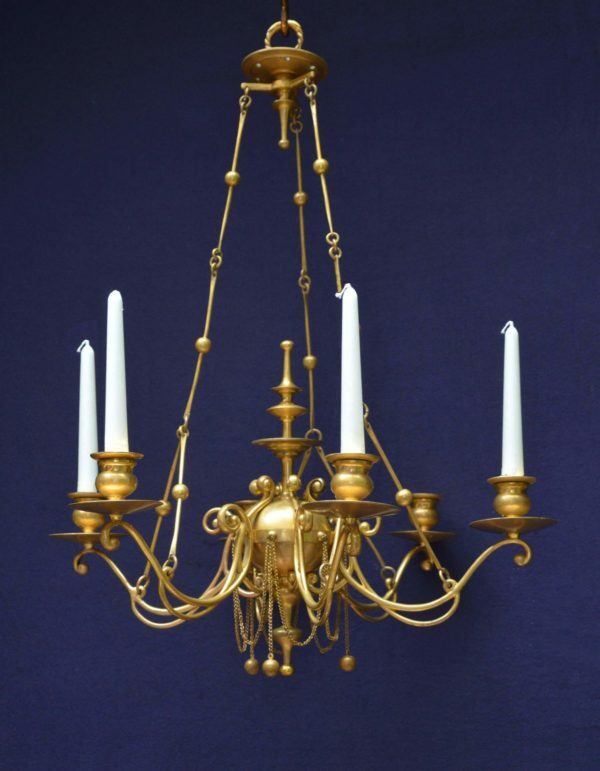 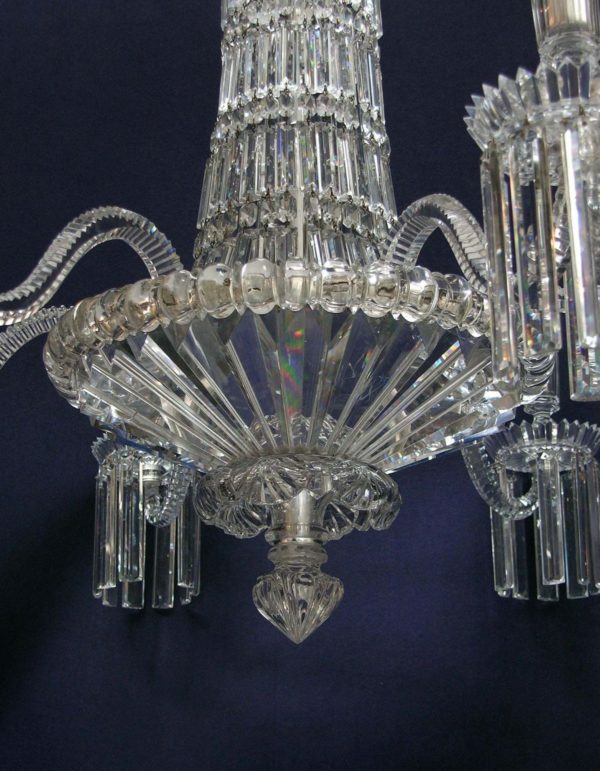 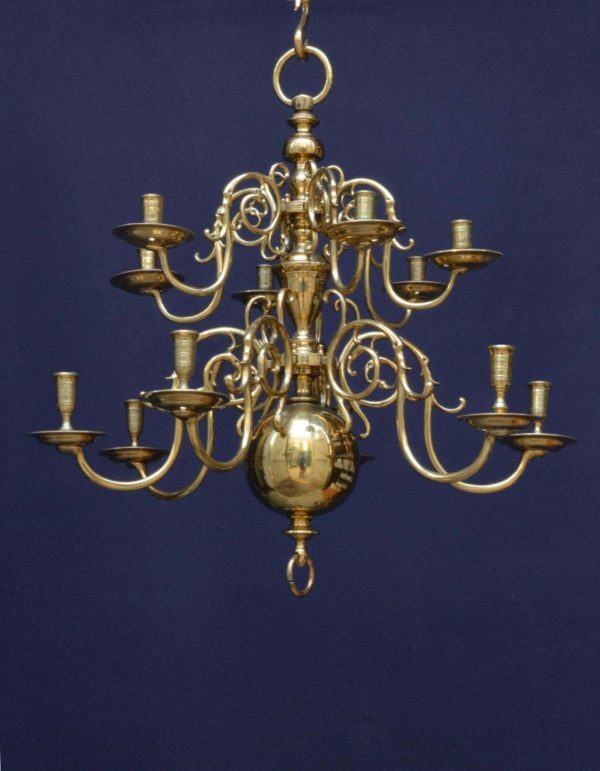 A term adopted about 1900 to describe chandeliers specifically made for electricity. 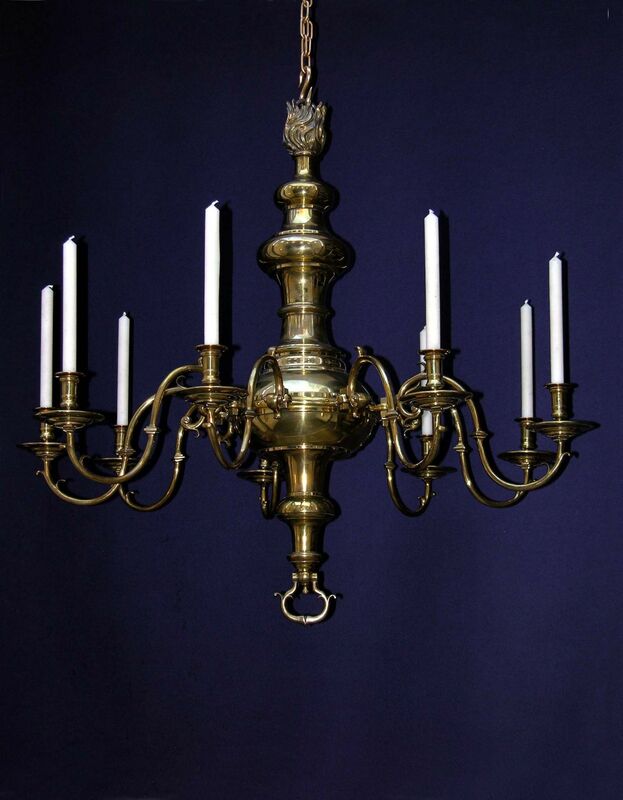 The very first electricity supply systems were from 1882. 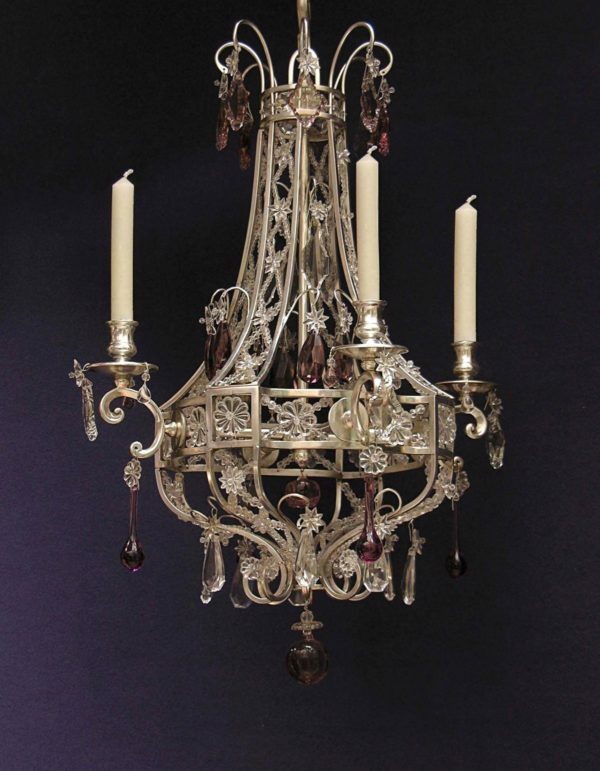 Important country houses had their own generators installed, such as Chatsworth House in 1895. 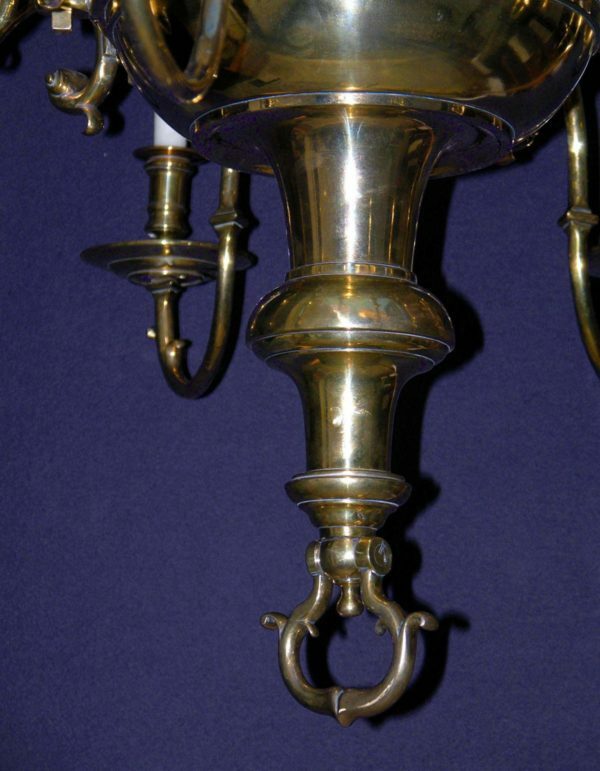 Electricity became more commonly used in middle class homes from 1900.